Awww … they were good pumpkins. Their cheerful orange brightened our front door for a couple of months. Sadly, their time is over. Bye-bye, pumpkins. You were good gourds. 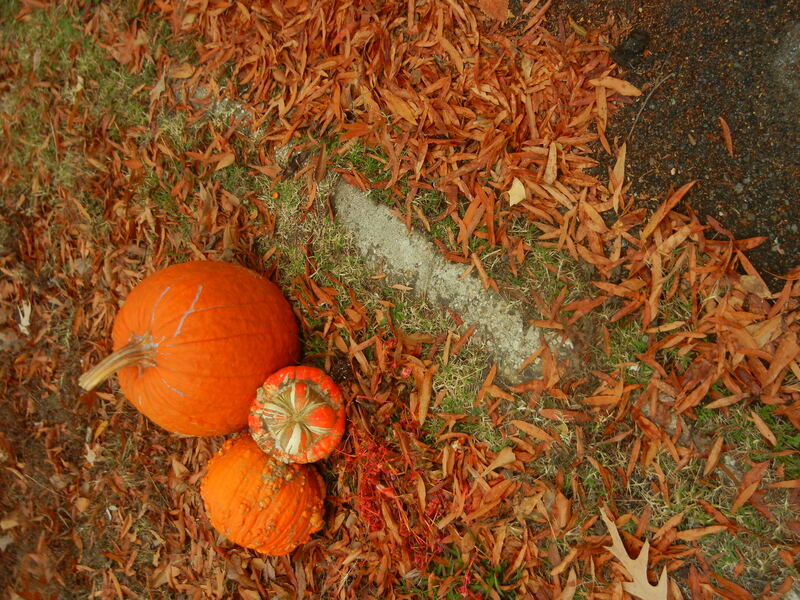 This entry was posted in Alabama, art, family, holidays, home, random thoughts and tagged fall, fall decor, fall decorating, pumpkin patches, pumpkins by Coffee with Cathy. Bookmark the permalink.